Somaya Reece revealed a few months ago that she was considering a breast reduction to minimize the 40E cup baggage she was carrying around – which was giving her back problems amongst other things. The Love & Hip-Hop star went through with the surgery days later and she’s now in recovery. 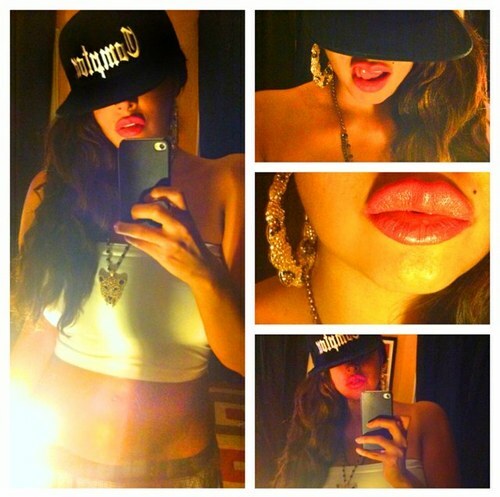 From the looks of things her ex-boyfriend, Cali-bred rapper X.O. aka Scipio (who also appeared on the Reality Show) has been working on his body too. We spotted his new avatar on Twitter and it looks like he’s been hitting those two-a-days at the gym. Both of them look great! Can’t wait to see the end results. This entry was posted in Gossip, Reality TV and tagged breast reductions, diets, health, Love & Hip-Hop, new bodies, Reality TV, Scipio, Somaya Reece, weight loss, WORK OUTS, X.O.. Bookmark the permalink.